The 12th novel in the Ben Cooper and Diane Fry series. From a distance, it looked solid - a black wall lying across his path, dense and impenetrable. But as Aidan Merritt drew closer, he could look into its depths. He could watch it coil and seethe as the wind drove it across the heather. It was a vast, sooty snake crawling relentlessly over the moor. But he didn't need to watch it for long to realise it was an illusion. This thing didn't crawl. Its speed was frightening. Further up the hill, Merritt saw more dark spirals, drifting low to the ground. Two, three, or maybe more of them. He could smell their acrid stink, feel their heat on his skin, taste the millions of burnt fragments choking the air as they passed. Smoke. Acres and acres of smoke. The world was full of it. A sudden awareness of danger made him pause. That smoke was poisonous. It could kill him if he got too much into his lungs. And the blaze behind it would scorch his flesh in a second. Yet today this smoke might actually be his friend. The fire could save his life. Still Merritt hesitated before he left the path. He felt as though he was about to step into a great inferno. He would be a solitary human figure walking out onto a fire-ravaged wasteland. "My God, what am I doing?" he said aloud to himself. "Who in his right mind would be out here?" Within the space of twenty-four hours, this part of Derbyshire had turned into a landscape resembling one of the nine circles of Hell. Merritt imagined there ought to be a guide to take his arm and point out the glimpses of tormented souls writhing in the flames. It was something he'd read in the sixth form at school. The guide was some Roman poet, surely. Virgil? Yes, Dante's Inferno from The Divine Comedy. It wasn't taught any more. Not in his school, anyway. But years ago he'd used it in an essay on allegory in European literature. The Inferno was all about poetic justice. Fortune tellers with their heads on backwards, violent criminals trapped in a river of blood. Each circle was reserved for a specific sin, until the ninth circle centred on Satan himself. He recalled that the narrator of the Inferno fell into a deep place, where the sun was silent, and found himself on the edge of Hell. He'd never had any use for the knowledge until now. Yet it stuck in some corner of his mind. And now he was thinking only of the ninth circle. The devil was in that detail. Merritt looked up. He supposed the sun was still up there somewhere, hanging over the Peak District moors. But it was clogged and blackened with smoke, as silent as it would ever be. He pulled out his phone, and saw that for once he had a signal. There were only a few places on Oxlow Moor where you were out of the dead spots. He dialled his wife's number, and got her recorded message, her voice sounding much too jaunty and cheerful. "Sam, it's me," he said. Then he stopped, his mind suddenly empty. He couldn't think of anything meaningful to say. Instead, he told her about the ninth circle, trying to explain what was in his thoughts. But he knew he was becoming incoherent, and he ended the call abruptly. "That was stupid," he said. "Stupid." Merritt wiped the sweat from his forehead, took a deep breath and coughed at the dryness in his throat. Poetic justice? Yes - and not just divine revenge, but a destiny chosen freely during life, and fulfilled in death. The inevitability was the most terrifying thing of all. It had struck him deeply as a seventeen-year-old, just starting to think about the future. The idea that he might already have chosen his own destiny weighed on his mind like a millstone. His place in the inferno was pretty much guaranteed. Well, that was the way it had seemed back then. And now here he was in the physical manifestation of Hell, almost exactly as Dante had described it. Those indistinct figures flailing in the smoke could only be the demons of his imagination - inhuman forms with the heads of beasts, their bodies glittering and suffused with bright artificial colours, their movements lumbering, their hands filled with strange instruments. Yes - they were there. All the creatures from his nightmares. He could see them in the smoke. See them, hear them, smell them. They were so close that he could practically touch them. And that was one last thing that Merritt remembered. According to Dante, the nine circles of Hell weren't located in some mythical universe, detached from the real world. All that torture and suffering was taking place among us now. This minute, this second. Hell was right here on earth. "Damn it, man - get a grip." He found that the sound of his own voice reassured him a little. There was a job to finish, and he didn't have much time. Focus. He must focus. Merritt looked to his left. No, not that way. The angry red of flames flickered deep in the banks of smoke. The fire was consuming the heather, surging across the miles of dry peat. With the wind behind it, a wildfire could advance faster than any human being could run. He mustn't get himself trapped where the flames could cut him off. That would be suicide. To the right, then. That way, he could just see a stretch of post and rail fence, a dry stone wall. Beyond it, scrubby grass and patches of bare soil. A field. The wall marked the point where the moor ended and rough grazing began. That was the direction he wanted. A voice calling out of the smoke. Not a demon after all, but a human being, living and angry. One of the firefighters, he guessed. Small teams of them were scattered across the burning moor, thrashing at the flames with their beaters or spraying mists of water from backpacks. They'd been on duty fighting the moorland fire for hours already, and would be weary and irritable. Merritt kept moving, trying to get up speed over the rough ground, regretting that he'd never tried to stay fit the way some of the others had. Now that he'd reached his mid-forties, it was really starting to tell on his body. His breath was soon rasping and his lungs began to burn. Yes, this was the right direction. The line of the roof was visible now. He recognised those high chimneys, cowled against the moorland gales. He could picture them the way they once were, trickling smoke in the winter, with log fires roaring in the rooms below. The scent of wood smoke was in his nostrils for a moment. He thought it was just another memory, until he realised his eyes were stinging and the back of his throat was sore with the acid taste of charred vegetation. The smoke had caught up with him. It billowed around his legs and swirled into his face. It rapidly became thicker and thicker. Frightened now, Merritt began to run, stumbling as the woody stems of heather and bracken caught at his feet. His boots felt heavy, and his corduroy trousers were sticky with insects and clinging burrs. The fabric of his shirt grew damp with sweat under the armpits of his jacket. He was wearing the wrong clothes for running. That was so typical. He was always doing the wrong thing. Always making the worst decisions. Always, always, always. Was there time to put it right? At least to put something right? Startled, Detective Sergeant Ben Cooper hit the brakes of his Toyota. For a moment, the wheels skidded on loose dirt before the car came to stop halfway onto the grass verge. "What the devil - ?" Cooper winced as a muscle strain from a game of squash earlier in the week sent spasms of pain through his lower back. Sitting alongside him in the passenger seat, Detective Constable Carol Villiers had been busy reading a file. She was thrown against her seat belt, scattering papers on the floor. They both stared ahead through the windscreen. "Well, that looks bad," she said. Automatically, Cooper glanced in his rear view mirror to check there was no traffic behind him. But the road was quiet at this time of day. That was lucky, because there was hardly enough room for two cars to pass, and those dry stone walls on either side were pretty unyielding. That was normal for minor roads in this part of the Peak District, as the scrapes on his bodywork often testified. Cooper shook his head. "Another one. That's the fourth this month. The sixth so far this year"
"And it's a big one, too." The sight of wildfires sweeping across the moors was always worrying. Once those fires got out of control, they threatened every type of wildlife, as well as the homes of people who lived in the national park. In serious incidents, human lives could be put at risk. But, for Cooper, there was an extra stab of personal distress. He knew these hills so well. He'd been born in this part of the Peaks, had grown up on a farm surrounded by moorland in every direction. Those vast expanses of rock and heather had been his playground. They still were, when he had time. The sense of peace, the closeness to nature, the sheer exhilaration of feeling the wind and breathing pure air - they felt part of his own being. He could hardly bear to watch these fires destroying everything he loved. His move away from Bridge End Farm to his flat in Edendale had partly broken that connection. The town had become his new home, and the police service his life. Yet it had also made the landscape more precious to him. Ben feared that one day he would no longer see the Peak District in the same way - not as he once had, with every bend in the road providing a glimpse of an enchanted land. 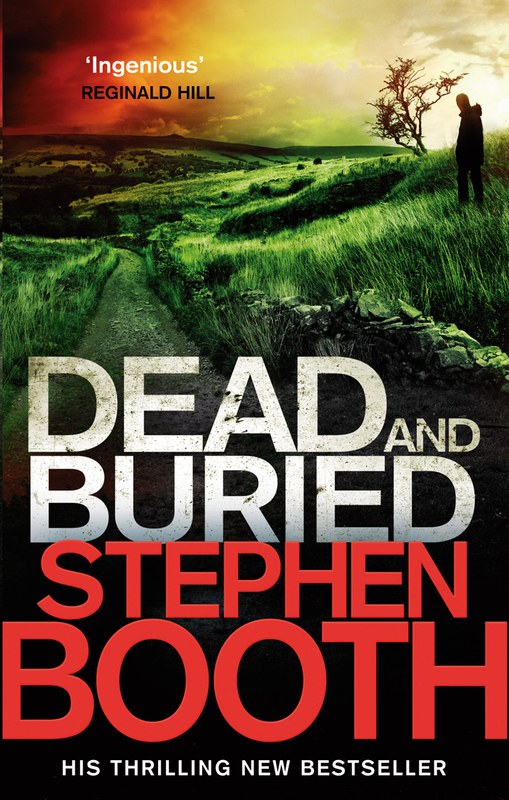 In a few years, the countryside around him might seem like an endless series of crime scenes - some of them fresh in his memory, others still waiting to happen. "I can't imagine the amount of devastation up there," he said. "It'll take years for the moors to recover." "It was the same last year," said Villiers. "Do you remember?" "Which means that some areas haven't even had time to grow back properly. If it goes on like this every year, Carol, Derbyshire will never look the same again." Villiers had been brought up in this area too. In fact, they'd known each other at school. She was the only member of the CID team at Derbyshire Constabulary's 'E' Division who came close to sharing his background. Her arrival after a spell of service with the RAF Police had been like a breath of fresh air in itself. Cooper couldn't imagine speaking like this to anyone else - like, say, Diane Fry, who had been his boss when he was still a DC. Well, not without being sneered at as a country bumpkin anyway. A sudden gust of wind dispersed the smoke for a moment. Then it thickened again, scudding across the hillside in dark, roiling masses. Cooper and Villiers peered fruitlessly up the road, trying to make out any details beyond the barrier fifty yards ahead. "It doesn't look as though this route is closed," said Villiers. "It should be. It's getting dangerous." "Maybe it's just deteriorated in the last few minutes." Cooper coughed and pressed the button to raise the windows. The day was unseasonably warm for April, and the air conditioning in the Toyota wasn't brilliant. But one breath of that smoke rolling towards the car was enough to make him want to withdraw from the area as soon as possible. "I'll turn round," he said. "Did you notice a gateway?" "The nearest one is back round the bend there." "Okay. Let's just pray nothing comes round too fast." When he twisted round to look over his shoulder, Cooper felt another stab of pain. He hated twinges like that. Not for the discomfort itself, but because they made him feel that middle age might not be too far away. He was only in his thirties, for heaven's sake. But the job could take a disproportionate toll on your body sometimes. His wedding was coming up in a few months' time, and he ought to be fit for that. Liz certainly would, judging by the amount of dieting and exercising she was doing, the number of health and beauty treatments she was booking. At this rate, he'd look like the bride's elderly uncle instead of the groom. Villiers got out to direct him back to the gateway. By the time Cooper had turned the Toyota round, a Traffic car was coming up the road towards them. The officer driving lowered his window when he recognised Cooper. "Yes, it's bad," he said. "But the wind is shifting so much we can't keep track of which routes are being affected. I keep expecting to come across an RTC, but so far we've been lucky." Cooper could see the likelihood of a road accident in these conditions. It only needed one unsuspecting motorist to come round a corner too fast. It happened often enough anyway, without the additional hazard of reduced visibility. "We'll leave you to it, then," he said. "Good luck." When he and Villiers got to the higher ground on the main road, Cooper had a clear view across the valley to the burning moorland. Only then did he realise that the ribbons of smoke they'd run into stretched for miles. Black clouds rose against the sky on the high plateau, swirling and breaking to reveal banks of flame scattered across the moor. Within a few yards of the fire, the smoke dipped suddenly where it was caught by the wind. From there, it slithered down the hillside, forming long trails like black fingers reaching towards the houses down below in the valley. "We're going to run into that smoke again in a minute," said Villiers. "And it's even worse there, Ben. It's thicker and blacker." "We can't avoid it," said Cooper. "It's directly above the road." "Of course. You know me. I always do." They began to descend the steep hill towards the town of Edendale. And a few moments later, the sun went out. By the time his hands touched the wooden boards, Aidan Merritt was nearly blinded by tears streaming from his eyes. He banged on the boards with his fists, fumbled along the edges of the wall where the door frame should have been, but found no crack to get a grip on. Desperately, he felt further along the stone facade. There had been windows here at one time. But they too had been boarded over. He tugged at a corner of a board, but couldn't shift it. He realised the building itself had been blinded. No door, and no windows. It was an eyeless dinosaur abandoned in the burning landscape. Finally, he found a side door left open a crack, and slid inside. It was so good to be out of the smoke. But the interior was even darker - pitch black as a cave, thanks to the boarded-up windows. No doubt the electricity was off, too. He could smell the mustiness that always invaded empty buildings, though the pub hadn't been closed for all that long. Decades of stale beer and cigarette smoke were coming into their own now, oozing from the corners and seeping out of the floor boards. And there was something else too, lurking beneath the mustiness. A thick, rank smell that seemed to stick to the mucous in his nose and throat. On top of the smoke, it made him feel nauseous. He struggled to control the instinct to gag. It was a stink like the smell of fear. "Hello!" he called. "Anyone here?" The sound of his own voice echoed back to him. He wasn't sure what part of the building he was in. He had never used this side door when the pub was open. He might be somewhere near the kitchens, he couldn't be sure. He would have to wait a few minutes for his eyesight to adjust to the darkness. Merritt took a step forward, hands outstretched to feel for the presence of a wall or doorway. His boots crunched on broken glass. The noise sounded unnaturally loud, as if the glass had been left there deliberately as a warning of intruders. There was no answer. Or was there? Did he detect a faint rustle in the darkness, the sound of breathing that wasn't his own? Merritt turned quickly, overwhelmed by a sudden fear that there was someone behind him in the blackness. The broken glass squealed under his boots like a small creature crushed to death against the concrete. "Is that - ? Is - ?" But the blow on his skull came out of nowhere. Merritt cried out in pain, saw flashes of blinding light in the darkness, felt his legs began to crumple. Then a second impact drove consciousness from his brain, and he hit the floor, stunned and bleeding, with fragments of glass pressing into his skin, his eyelids twitching as his nerve endings spasmed in agony. As he lay face down in the dust, Aidan Merritt never felt the third blow - even though it was the one that killed him.